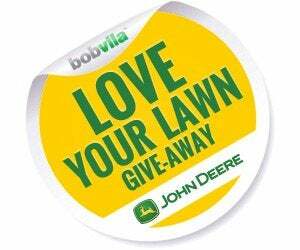 Enter Bob Vila’s Love Your Lawn Give-Away with John Deere Today! Spring has officially sprung, which means it’s time to turn your attention to your flowers, bushes, trees, and—most importantly—your lawn. While all outdoor greenery makes for a beautiful home, there’s no single feature that covers as much real estate, and packs such a curb appeal punch, as fresh, green grass. 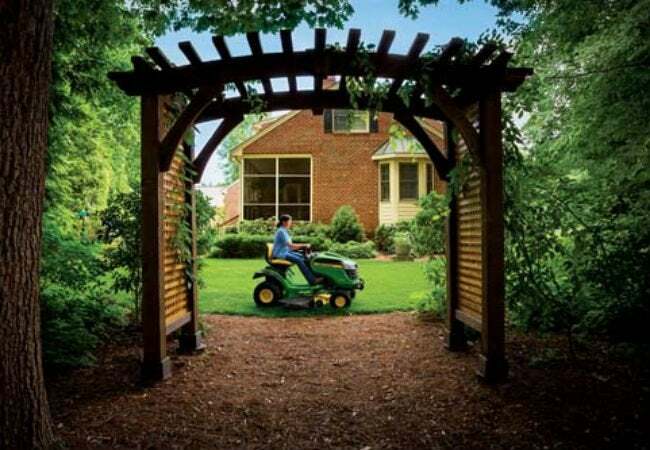 That’s why we’ve partnered with John Deere to bring you the Love Your Lawn Give-Away, which awards one lucky winner a top-of-the-line mowing machine that makes easy work of outdoor maintenance. Since its founding in 1837, John Deere has grown from one man’s idea to improve agriculture into one of the most admired producers of American-made residential lawn equipment in the world. Building innovative, high-quality products that constantly improve the lives of those who use them is all in a day’s work for this household name, making John Deere a top choice for the farm, the front lawn, and everything in between. Want to give your neighbors major lawn envy? Then the S240 Sport Lawn Tractor is for you. This user-friendly model makes maintaining your lawn a smooth, comfortable, and enjoyable experience. Large, turf-friendly tires and a powerful engine help this sleek machine tackle even hilly landscapes with ease, while the 42-inch Edge Cutting System provides a clean cut for your lawn. If you choose the Z335E ZTrak Zero-Turn Radius Mower, you’re signing up for the best in speed and precision. It’s not how fast you mow, it’s how well you mow fast, and this mower delivers both. Ideal for long and level stretches of land, the motion control levers driven by two independent transmissions make turning on a dime easy and fun. Equipped with the ACCEL DEEP™ mower deck, which offers first-rate cut quality at faster speeds, the Z335E will leave your lawn consistently beautiful. So what are you waiting for? Enter today and every day in April for your chance to win one of these two amazing mowers that will help make your lawn the most beautiful on the block. The “Bob Vila’s Love Your Lawn Give-Away with John Deere” is open only to permanent legal U.S. residents of the 48 contiguous states and the District of Columbia; residents of Alaska and Hawaii are not eligible. Void in all other geographic locations. No purchase necessary. Void where prohibited. Contest Period runs from 12:00 p.m. (EST) Thursday, March 31st, 2016, through 11:59 a.m. Saturday, April 30th, 2016. One entry per household per day on BobVila.com. Alternative means of entry for Drawing is available by faxing your name and address to 508-437-8486 during the applicable Entry Period. Odds of winning depend on the number of eligible entries received. See Official Rules.